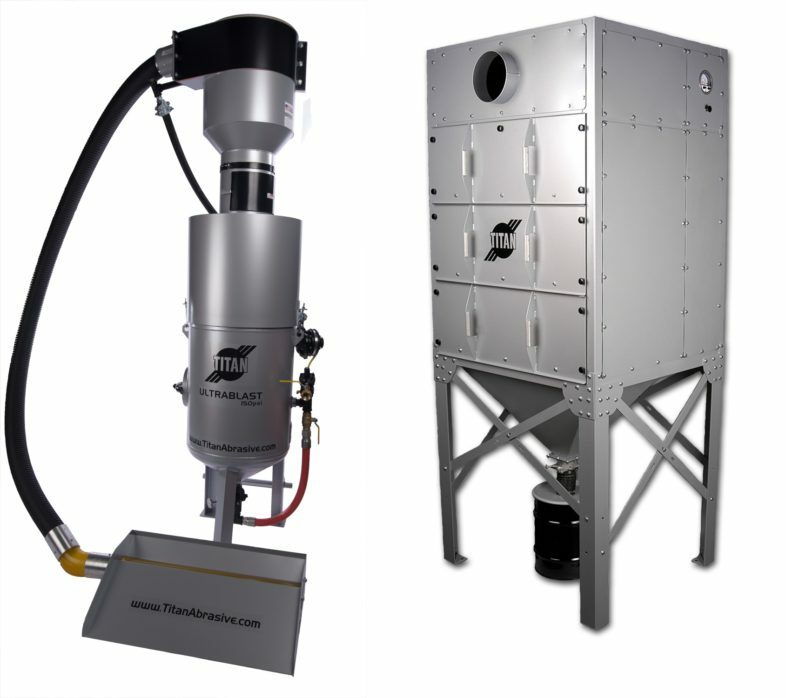 An economical alternative to full-floor mechanical recovery systems, Titan’s Vacuum Reclaim Systems can be installed in an existing blast room or ordered with a new blast enclosure. Easy to use and set up, Titan Vacuum Reclaim Systems allow blast operators to work until significant media builds up on the floor of the blast room. Operators then simply sweep the abrasive into the hopper, using brooms, shovels, compressed air or even a skid steer. The media is then vacuumed up, cleaned and returned to the blast pot. The system automatically cleans recyclable abrasives, through the use of a cyclone separator, and returns the clean, good media back to the blast machine. Also known as sweep-in or pneumatic recovery systems, Titan Vacuum Reclaim Systems rely on the use of cyclone separators and work best with lighter abrasives such as, glass bead, aluminum oxide, garnet or plastic. If you’re using steel grit or steel shot you may want to consider using a Titan Mechanical Media Reclaim System.